We confess: Some days we skip parts of our beauty routines — a shampoo here, an exfoliation there — but one thing we never forgo is eyeliner. It's the finishing touch that makes us look pretty and polished (and awake), and whether you’re creating the perfect winged line or an understated, ultra-wearable look, finding the right product is key — especially when it comes to liquid formulas. We all want something that’s easy to apply, not too thick or too thin, and affordable, which is why we’re obsessed with our latest drugstore find. Maybelline's Line Stiletto Ultimate Precision liquid eyeliner goes on smooth, thanks to a thin felt-tip brush that makes drawing a straight line effortless. Our favorite shade? Blackest Black, which transitions from office-appropriate to girls’ night out with no more than an extra stroke or two. At less than $10, who can afford to skip that step? 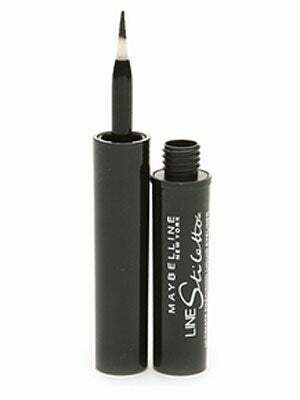 Maybelline Line Stilletto Ultimate Precision Eyeliner, $7.25, available at Maybelline and mass retailers.